Fire Ants Are A Health Hazard! 16% of all people are allergic to fire ant stings. Hypersensitive individuals can even go into shock! 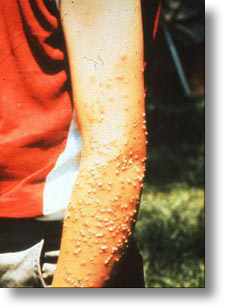 Pest and livestock can also be injured by fire ants. 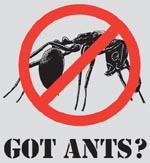 Don't let fire ants keep you out of your property! Anaphylaxis is a life-threatening allergic reaction that affects millions of Americans every year. Anaphylaxis can be caused by a variety of allergens, with the most common being food, medications, insect venom, and latex. The definitive treatment for anaphylaxis is epinephrine, and all patients at risk for experiencing anaphylaxis are urged to carry self-injectable epinephrine such as EpiPen® epinephrine auto-injectors. Side effects of epinephrine may include palpitations, tachycardia (an abnormally fast heartbeat), sweating, nausea and vomiting, and respiratory difficulty. Cardiac arrhythmias may follow administration of epinephrine. Patients should ask their physician about the circumstances under which this life-saving medication should be used. IN AN ENVIRONMENTALLY SAFE MANNER AT A REASONABLE PRICE.